Hello, today I created a wedding card for a friend/customer who needed a wedding card in grays and pearl white. I had a copy of the invitation, so I incorporated some elements from it into the card. I used one of my new Elizabeth Craft Designs dies and peel off gems. I used various flower dies and cut a combination of large and small flowers using Bazzill silver cardstock, vellum that has a beautiful tiny floral white on white pattern and a pearly embossed cardstock. I mixed and matched them and used little brads to hold the pieces together. I cut the leaves out of the silver cardstock using a Sizzix die I got on clearance for $1 🙂 Can you say “Awesomesauce”?! The card base is medium gray American Crafts heavyweight cardstock, and the patterned paper on the base is Carta Bella from the Paris Girl line…not sure if that is retired or not, I have had it for a while, and I LOVE every pattern in this collection, so I use it sparingly. Needless to say, I am quite frugal with my supplies. I did mat the patterned paper with black cardstock before mounting it on the card base. Finally I stamped a piece of the pearlized paper (which was also used for the ECD Entwined Circles) with a sentiment from Taylored Expressions, Lifetime of Love set. I scored this adorable set for just $5. I think it is still for sale on Taylor’s website for that price. I cut the monogram out with Kwik Kutz Eliza letter set that my wonderful daughter got me (brand new) from a garage sale. This episode is all about good deals. HA! I hope you enjoyed todays project. Please follow our blog by clicking on the ‘Follow Me’ button and like us on Facebook. We now are on Instagram, so checkout #papercanvascreations so you don’t miss a thing! 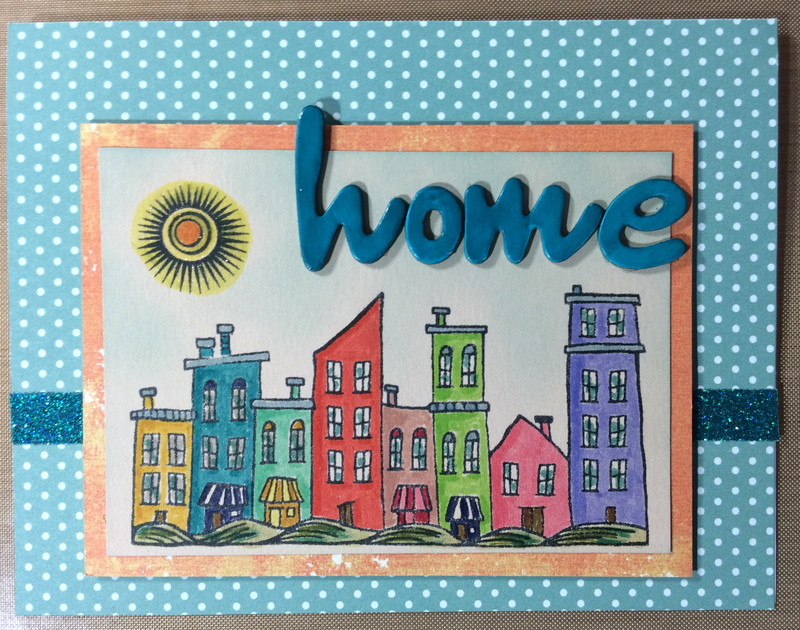 Welcome to Sunsational Stamps Design Team Blog Hop for January, 2016. Thank you for joining us today! We will be showcasing Winter and Valentines Day, there are over 20 new stamps in this release. They are sweet and adorable, I am over the moon in love with them and you will be inspired by our amazing Design Team’s projects. You will find a digi stamp available to win at each blog along the hop. Here is the one you can win from me, I just love, love, love this image! It’s all in the name….Stinking Cute! There is also a free exclusive digital stamp available to all who take part in the hop. In order to win any of the blog candy and receive the freebie we ask that you please follow these simple rules to show support for each crafter and the time they have put into their work. 3) become a follower of each blog and our DT blog at http://www.sunsationalstamps.blogspot.com/. We also are offering a special for this release: You will get 10% off any order of $10.00 or more, just use the code JANUARY10. The code will be valid in both the “Sunsational Stamps” store and the “Scrapping With Lisa Designs” store. This special offer is good until Sunday, February 7th at midnight EST. Sit back, relax, grab your favorite beverage and let’s get hopping! I colored in the images using ShinHan alcohol markers. The gold stars on the sentiment were colored using American Crafts Permanent Gold Chalk Pen. I stamped the smaller stars using Hero Arts white pigment ink. Finally I tethered the astronaut to his spacecraft using silver thread and used foam tape to pop him up a bit. If you happened to have stumbled upon this blog by chance or accident, please make sure to head to the first blog listed so you don’t miss any of the Love we have to share with you. This hop runs from 8 am February 6th through 11:59 pm February 7th, so you have plenty of time to visit every blog in the list below. Eileen – https://papercanvascreations.wordpress.com/ You Are Here! Thank you for joining us, we hope we were able to inspire you just a bit!! Check back here often for more inspirational projects created by our very talented Design Team! 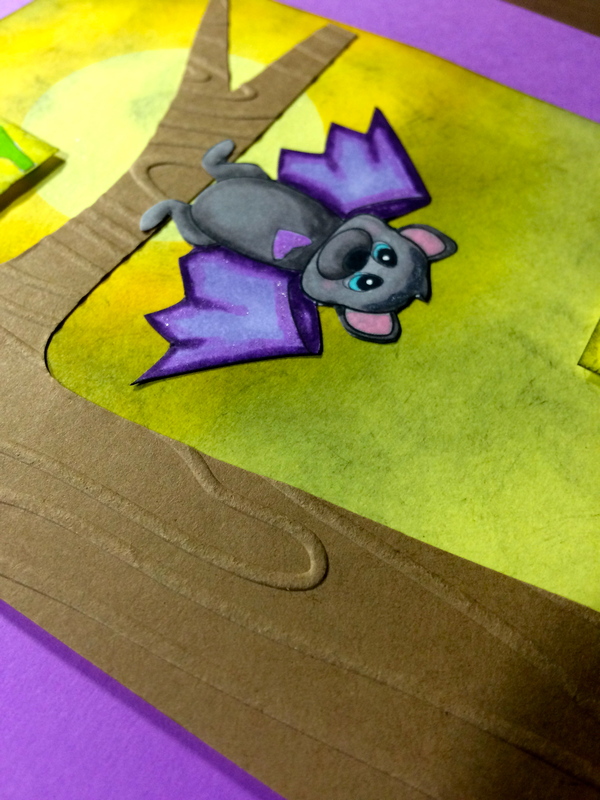 I started making Halloween cards already, as I have many I have to make for some of my best customers! 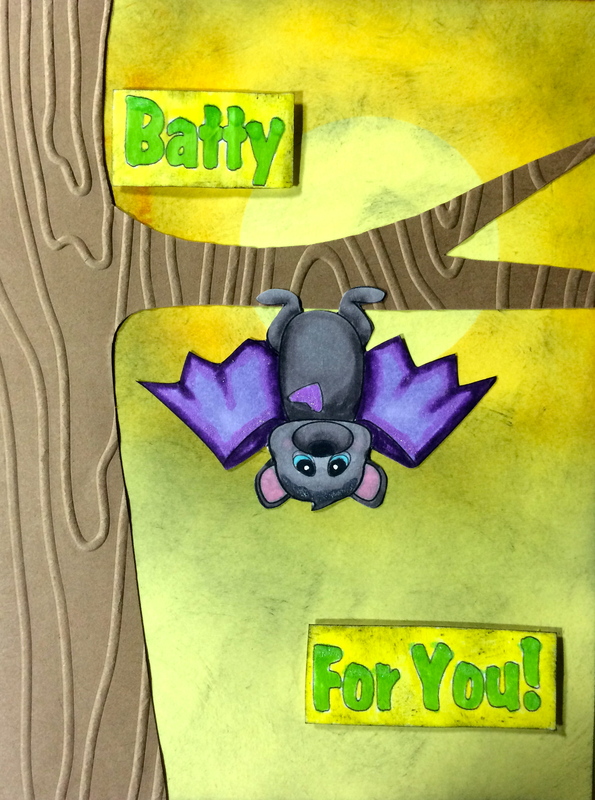 As soon as I saw the stamp set Batty for You I knew what I wanted to do with it. I just love this adorable little bat (I named him Boris). 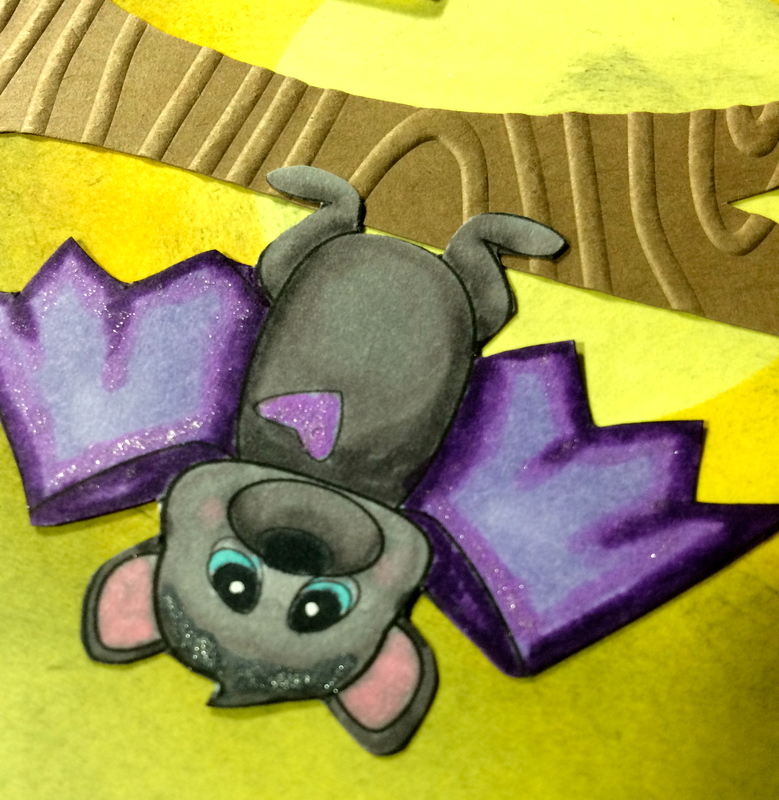 Close up of bat from Batty for You. I ran some brown card stock through my eBosser using the Teresa Collins Woodgrain embossing folder, then cut out freehand, a partial tree. I punched out a circle using my 1-1/2 inch punch to use as a mask for the moon. I then distressed around the mask using Scattered Straw, Ripe Persimmons, Iced Spruce and then rocking a lightly inked sponge for the haze/clouds using Black Soot. ‘Boris’ was colored using alcohol markers and topped off with both Wink of Stella and American Crafts Glitter Pens in dark grey and purple. 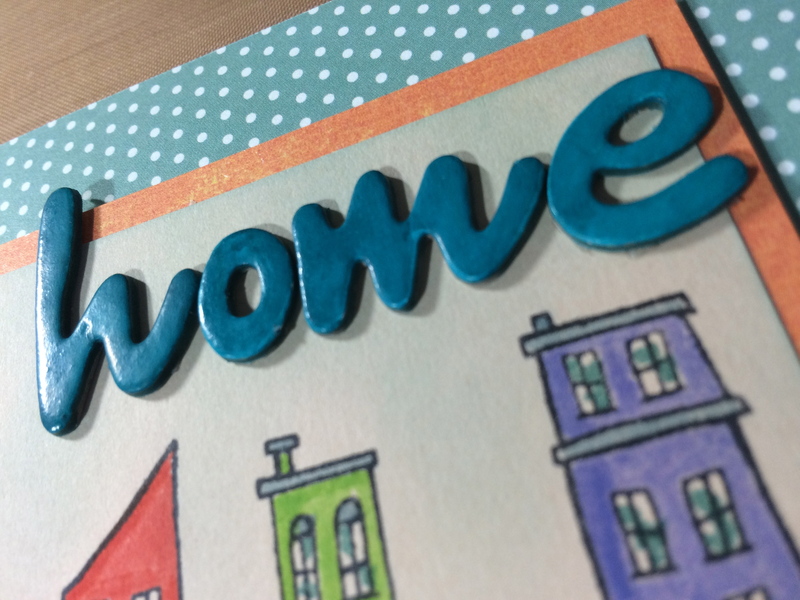 The sentiment was colored in using a Distress pen in Twisted Citron then pop up using foam dots. I hope you liked today’s card. You can go to http://www.sunsationalstamps.com to purchase this stamp/image along with many more. Follow our blogs and like us on Facebook! 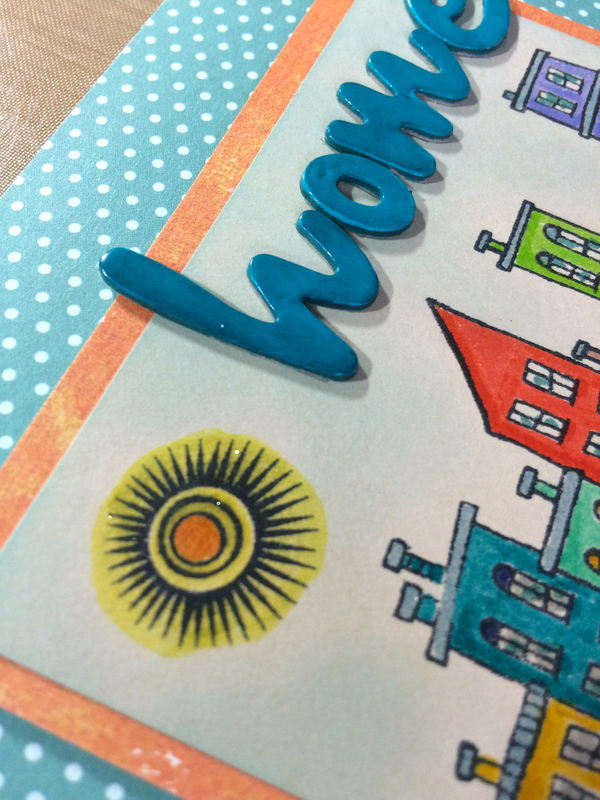 I used a Studio Calico stamp set and added a CTMH sun image from a set that retired a year or two ago. 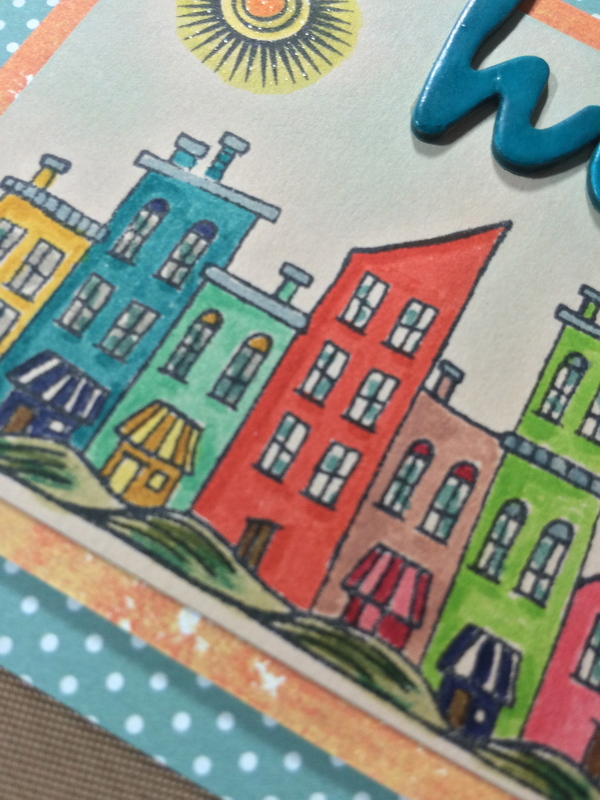 I used Doodlebug papers from my stash, as well as American Crafts Thickers that I colored with an alcohol marker to match the CTMH Lagoon shimmer tape. The building scene is colored using Distress Markers. The sky was lightly sponged with Tumbled Glass distress ink.